The One Direction heartthrob has admitted he wants to meet his dream girl, but doesn't have the energy to go out on dates or look for a girlfriend because the band takes up so much of his time. "I'm so lazy, that when we're off I just want to sleep, I just like to chill, do nothing and sit on the couch for the weekend." Niall - who has been linked to 'X Factor' USA judge Demi Lovato - said his perfect woman would be as fun-loving and laid-back as he is, and his pet peeve is a girl who can't hold a conversation. 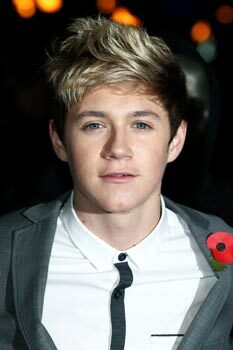 Asked what his dream date would be like, the Irish charmer told Fabulous magazine: "Cute, nice eyes, nice smile and carefree like me. "Someone I can have fun with, and I know this sounds stupid, but someone you can hold a conversation with on a first date. "It's not the easiest thing to do if you're having a dinner just looking at each other across the table, fiddling with your spaghetti." The 'Live While We're Young' hitmaker is especially popular with fans across the Atlantic, but said he doesn't know why he fares better with American girls than his cheeky bandmate Harry Styles. He laughed: "I've heard that a few times but I don't know, I think the Irish thing goes down well over there so that helps!"